Many decades ago, the use of microneedling was conceptualized for the purpose of drug delivery. In the mid-1990’s, it became a subject of significant research when the microfabrication technology enabled the manufacture of solid microneedles as skin pre-treatment to increase permeability in the skin. Microneedles were coated with drugs that dissolve off in the skin. There were also polymer microneedles that encapsulate a drug that fully dissolve in the skin. There are also hollow microneedles for drug infusion into the skin. In fact, there are over 350 papers published on microneedling. Microneedles have been used for drug delivery of broad range of various low molecular weight drugs, vaccines and biotherapeutics. There were published human studies of a number of small-molecule, vaccines and protein drugs. In fact, there is widespread clinical use of hollow microneedle for influenza vaccination. There are also a number of microneedle products sold for cosmetic purposes. More so, there are numerous applications of microneedles in the skin that has been adapted for bioactives delivery on the cells and into the eyes. Without a doubt, microneedles are expected to advance further in the clinical practice to allow better vaccination, pharmaceutical therapies and other applications. 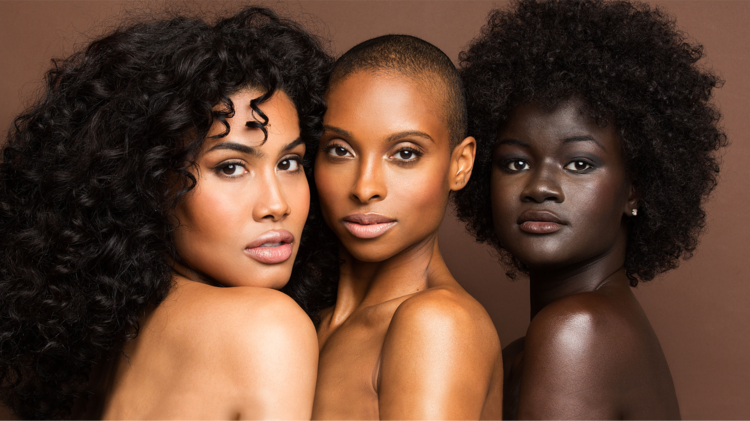 Is Microneedling the New Method use for Vaccinations? Most vaccines and biotherapeutics are using hypodermic needles. 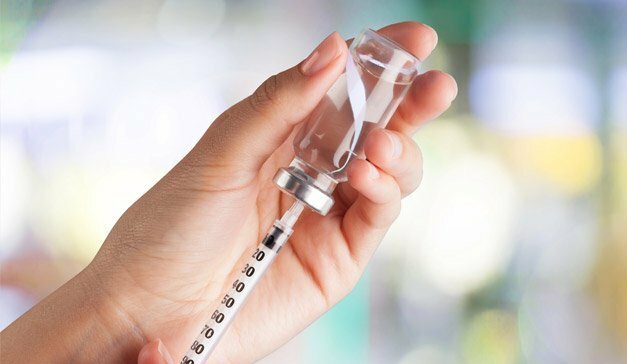 Injection offers rapid, low-cost and direct way to deliver almost any kind of molecule in the body. However, the use of hypodermic needles cannot be easily used for the patient themselves. 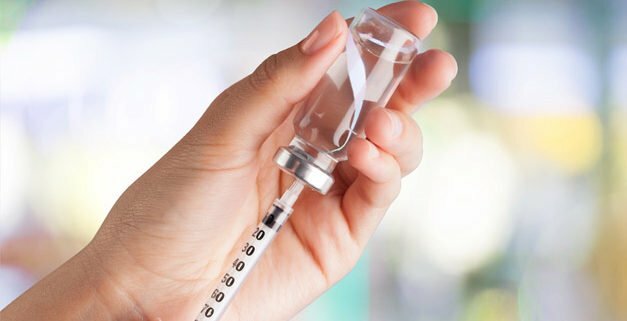 Therefore, it is utilized in the clinic or at home of patients who received special training on proper injection method, and safe needle disposal along with other issues. The strict compliance of the patient is further limited by needle-phobia and pain experienced by most patients. The spread of blood borne pathogens from needle reuse is a major concern particularly in developing countries. The oral delivery has overcome this problem. But still, there are many drugs that cannot be given via this route due to drug degradation in the liver and gastrointestinal tract and due to poor absorption. Other routes of administration were also investigated but none of them offer the broad effectiveness of direct injection using a hypodermic needle. So, rather than avoiding needles, scientist proposed shrinking the needle to micron dimensions to make use of its powerful delivery capabilities. It will also improve patient compliance as well as safety. Microneedle is micron-scale device that should be large enough to deliver drug with small particulate formulation. It should be small enough to avoid fear, pain and the need for expert training to administer the drug. More so, a microneedle will allow precise localization of delivery to the tissue such as within the cell nucleus, or the suprachoroidal space of the eye or within the borders of the target skin. Most of microneedle application have emphasized on vaccine and drug delivery to the skin. The traditional transdermal deliver is limited by barrier properties of the stratum corneum or the outermost skin layer. The various physical, biochemical and chemical methods have been studied to increase the skin permeability. However, the biochemical and chemical methods do not appear to be useful for delivery of vaccines and biotherapeutics across the skin. The physical methods have greater potential of delivery of macromolecules. But the use of sophisticated device typically involve costly, relatively large and tedious training. Microneedles in contrast are prepared as low-cost patch which is simple for patients to apply. It allows effective delivery of biomacromolecules. Targeting the vaccine delivery to the antigen-presenting cells in the skin using microneedles is also of interest. The other applications of microneedles are also explored. Recently, drug delivery to the eye through the suprachoroidal space has received much attention. As the extension of micropipette techniques, microneedles are used to deliver molecules into the nuclei and into the cells, among other laboratory applications. Since late 1990’s, the papers published on drug delivery has grown exponentially. This lead to published clinical trials, approved products and an active community of industry and academic researchers. What Microneedles are Made of? For decades, the individual mcironeedles have been hand-crafted for research purposes. In the 1970’s the low cost microneedle arrays was envisioned for drug delivery. 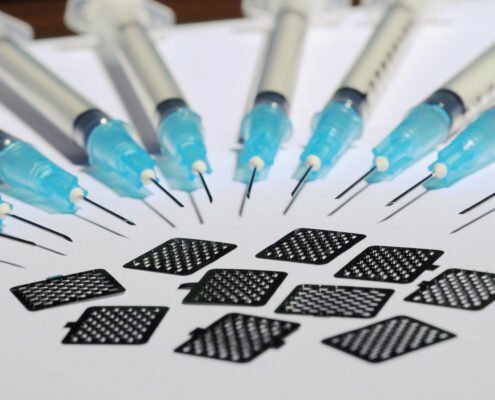 In the 1990’s, the microelectronics industry provided microfabrications tools needed to make microneedle a suitable tool for pharmaceutical application. At first, microneedlles were made of silicon. This marked the beginning of microelectronics industry technology. From then on, microneedles have been fabricated out of various materials including ceramic, glass, metal, and polymer. It is also made in various sizes and shapes, as needed for its intended applications. Most microneedle fabrication method is based on conventional microfabrication technique of removing, adding and copying microstructure. It utilizes photolithographic processes, laser cutting, silicon etching, metal electropolishing, metal electroplating and micromolding. Generally, microneedles are categorized as solid microneedles for pretreatment of tissues, dissolving microneedles, drug-coated microneedles and hollow microneedles. The different microneedle design allows it for effective drug delivery by various mechanisms. The solid microneedles are used for skin pretreatment. 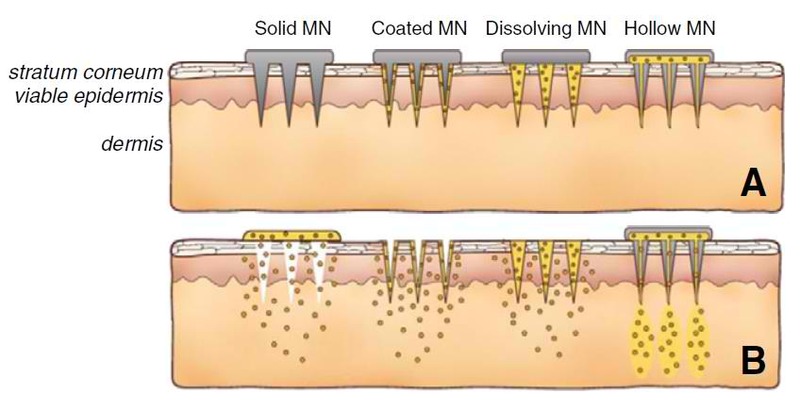 After inserting and then removing the microneedles to form micron-scale pores in the skin, a drug formulation is applied to the skin to allow slow diffusion of the drug through the pores of the skin and into the body. Microneedles are coated with drug typically with a water-soluble formulation. After inserting microneedles into the skin, the coating of the drug is dissolved off the microneedles and in the skin where the microneedles are removed. Alternatively, the microneedles can be made out of biodegradable or water soluble polymer that encapsulates the drug within the matrix of microneedle. In this manner, the microneedles are degraded or completely dissolve in the skin. It thereby releases the encapsulated drug payload and leave behind sharp waste because the microneedle dissolved away. Finally, the hollow microneedle can be used as infusion for liquid formulation in the skin or alternatively for diffusion in the skin through the needle bore. These describe how microneedles are used to deliver drugs to the skin. Other compounds like vaccines and other agents are also delivered. More so, other tissues aside from the skin can be targeted like the eye. Yeu-Chun Kim,1,2,3,* Jung-Hwan Park,4 and Mark R. Prausnitz5. (2013). Microneedles for drug and vaccine delivery. Adv Drug Deliv Rev. , 1547–1568.